and I’m from Philadelphia , PA. I graduated from The Jack M Barrack Hebrew Academy. 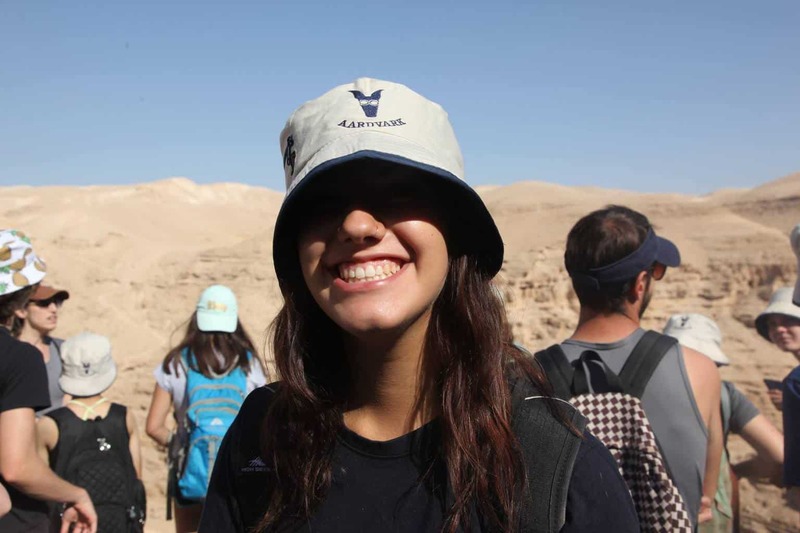 Being president of my schools Israel club made it obvious to me that I would be spending a year In Israel before college was the thing I had to do. My rabbis daughter had done Aardvark and hearing my rabbi talk about this program made me come to the conclusion that this was the one I needed to be a part of. I’ve been here for two months already in Aardvark Jerusalem and without sounding too cliché, these have been the best two months of my life. I never thought I would connect to the city of Jerusalem as much as I did. Living in Jerusalem has really helped me further connect to Judaism and continue to remain proud of who I am as a Jew. I never thought it was be so easy to connect with such a religious city. Although I’ve been to Israel countless times before, every experience with my Aardvark family is a new one. I have met such incredible people and made so many new friends I hope to talk to after Aardvark. I have fallen in love with the city I live in and with the people I meet on the streets or in the small area of Katamon. Aardvark highlights the importance of learning how to be an individual through its volunteering and interning programs. Working at Hadassah hospital has been an emotional yet exciting experience for me as a student in Israel. In the oncology department, I get to interact with patients, learn more Hebrew and help with whatever is needed. It has been a highlight of the program so far and I always wake up excited to go. There are so many fun things to do around where we live. Our apartments are located in such a convenient and fun place in Jerusalem. Across the street from our building is a pizza place and a falafel place, which happens to serve the best falafel I’ve ever had. We are only 30 minutes from Ben Yehuda where the night life is filled with joy and amusement for all ages. Every day on Aardvark is a new adventure. Our trip to Abu Gosh was definitely a highlight for me on Aardvark Jerusalem so far. Abu Gosh is a multicultural village where we visited a Monk and an Imam. After visiting a beautiful Mosque, we went to the best hummus restaurant in all of Abu Gosh and it was delicious. The trip to Abu Gosh ended with meeting with the father of Youssef Ottman, an Arab Israeli who died in a terror attack securing Her Hadar, a Jewish community right outside of Jerusalem. It was such an intense experience that led me to tears. Another memorable experience was visiting Yad Vashem and Her Hertzl. Even though I’ve been so many times, every time is a new experience, especially with new people. 4 students were chosen to speak about 4 different lives that were lost to fighting for our country. It was by far the most intense day for me since I arrived in Israel, and it will remain a day I will never forget. Living in the city of Jerusalem has definitely made it harder for me to decide whether or not I want to come home after Aardvark. I’ve always thought about making Aliyah when i was younger but it always seemed so far into the future and now that I’m here, reality has sunk in. Israel is my home and will always remain my home.